What Are Top Blogger's Secret to Controlling the Click? A few days ago, a friend introduced me to a business opportunity that totally opened my eyes. The technology and practice are not new. However, there was something she said that blew me away. In this article, I would like to explore the click power and reveal a secret of top bloggers. What Is The Click Power? One of the first things my friend said to me was that nearly everything she does online produces a financial return. "Sure" I thought to myself. There are thousands of multi-level marketing companies out there and I'm just waiting to hear a familiar name or product. To my surprise, her business was not something I expected. The more she spoke, the more intrigued I became. That night, I spent hours reading and reviewing sites of successful bloggers. Unfortunately, it didn't really click for me until this afternoon. It happened while listening to a Third Tribe podcast. Darren Rowse, creator of Problogger.net, said he built a community so that he could build repeat visitors. Those returning members helped to secure a full-time gig for Darren. What was it, you ask? I reply with the "Click." How Do I Control The Click? The click in this case refers to the mouse. He who controls the mouse click, controls the purse strings. That's what I took away from today's lesson, but how does it work? To get an idea of how some win clicks, we have to watch sites like Bossip, Alltop, and Mashable. Through the efforts of staff writers, editors, and content contributors, we see a pretty steady stream of posts leaving their camp. In some instances, the new post was nothing more than a summary of another article. Yes, credit is routinely given. It's smart. Alltop, for one, gets a huge influx of pageviews as a result of connecting visitors to information. What makes it even better is that original content is produced and scattered in between the summarized content. Well, if you're like me, then you must understand the value of time. We all are limited by constraints, but identifying ways to maximize existing resources is genius. In the case of aforementioned sites, a steady stream of good and interesting content increases popularity, pageviews, and retweets. As a result, sites with a lot of eyes can charge considerable more money for advertising. Therefore, good content is ultimately the secret weapon. One can either write the story from scratch or summarize and link to another source. I believe many sites are beginning to do the latter. There have been complaints from original authors who find the practice disruptive. Some argue that it diverts users away from the real source, which lowers their overall pageviews and ad revenue. The recommendation by content creators is to simply link to the original articles. In Twitter, for example, this means sending sites direct traffic. 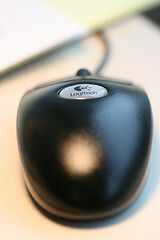 Understanding the value and power of mouse clicks is the first step toward earning a living online. What I have set out to do is explore a few successful sites and their strategy for controlling the stream of eyes seeking information. As a blogger or entrepreneur, hopefully this will be just enough to open your eyes to the possibilities. In the comment section below, share with me any suggestions you might have in the effort to secure the click.What has worked well? What has not? Is it wrong to summarize other people's stories, provided credit is given?